Health authority boards are accountable to the Minister of Health, Seniors and Active Living and are responsible for the mandate, resources and performance of the health authority. As such, members must represent the region as a whole, not any particular community or interests. A board must ensure that the organization complies with applicable legislation, regulations, provincial policies and Ministerial directives. Boards have a strategic role in setting direction for the health authority and a fiduciary role in policy formulation, decision-making, and oversight. 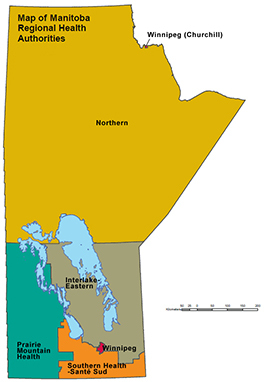 Winnipeg Regional Health Authority has 15 board members while the health authorities in the rural and northern regions each have 12. Selection of board members will also be based on a range of knowledge, skills, experience in such areas as governance in public sector, private sector or not-for-profit boards, government structures and processes, law, business, finance and accounting, among others. satisfy criminal record check requirements.